This man wasn’t hurting no one. More invasion of privacy. Next time, get a room. This entry was posted in Video on September 1, 2015 by admin. Glad this caught this OTHER criminal — it could be an effective way of getting the cops of your tail in a chase. He could have been an actual accomplice. 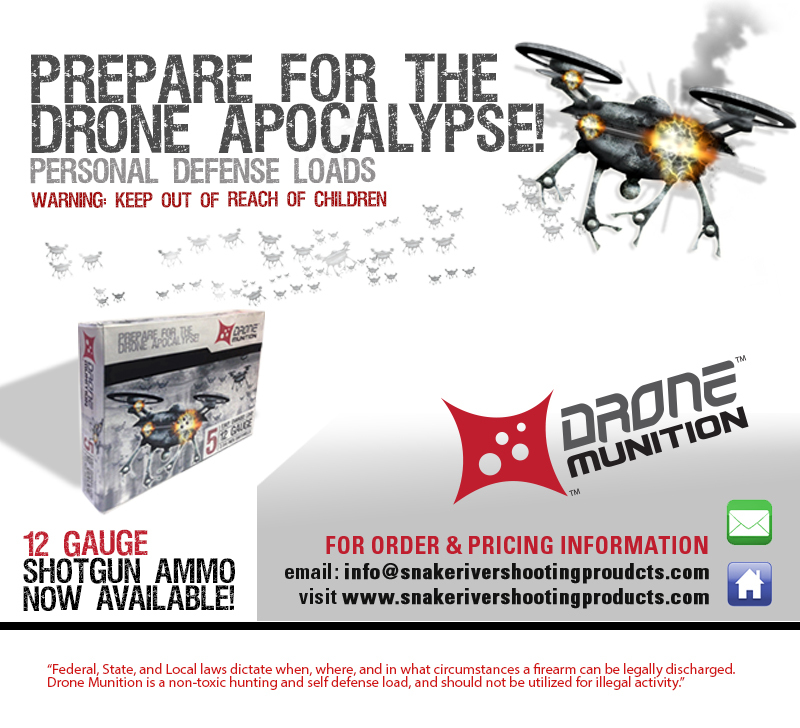 I’ve been using less than lethal force on drones this whole time… it’s not lethal if it ain’t alive! I want to keep our men and women in blue safe, but this gives me the willies, and I sort of feel bad for the future criminals. If this were an actual aircraft, it would be tremendous. The fact that drones are getting more attention from engineers nowaday is disheartening. This entry was posted in Video on August 27, 2015 by admin. This entry was posted in Video on August 25, 2015 by admin. As if flying on an airplane wasn’t bad enough. This entry was posted in News on August 24, 2015 by admin. Heck, if all they did was open my beer, I’d love the darn things. This entry was posted in Video on August 21, 2015 by admin. The market has spoken, ladies and gentlemen. Sometimes you scare the bear, sometimes the bear, well, he scares you. This entry was posted in News on August 19, 2015 by admin.